The Gazette notification on the 19th Amendment to the Constitution has been published and public are allowed to submit their concern within two weeks, the Government Information Department said. 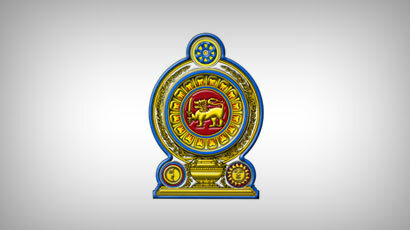 Cabinet approval was granted for the draft bill on Sunday (15). According to the sources, the term of the Executive President is due to be reduced from six years to five. Cabinet will be vested with the power of appointing secretaries of ministries while the Cabinet of Ministers will be appointed by the President following consultations with the Prime Minister. The number of Cabinet Ministers will be restricted to 30 through Constitutional Amendments. The Presidential immunity from being sued over matters conducted during his period of office is to also be removed under the proposed reforms. Is the presidential elections to run concurrent with the general election. What is the role of the parliament…has it the authority to impeach a president if so what is the procedure? If the parliament is vested with the power to impeach a president then by the same argument the parliament then by the same token the authority to remove as it happened the impeachment of the Chief Justice! In such an event then has the President elect got the authority to revoke decisions taken at such a trial without a vote and then when it is out put to to vote decision should be by an absolute majority …absolute majority being the two third. According to the amendment to the ministries are the ministries should it carry a constitutional minimum qualification. provide some standard of quality further before Secretaries are confirmed they should go through a commission to test their claims.